Pumpkin picking only this weekend. 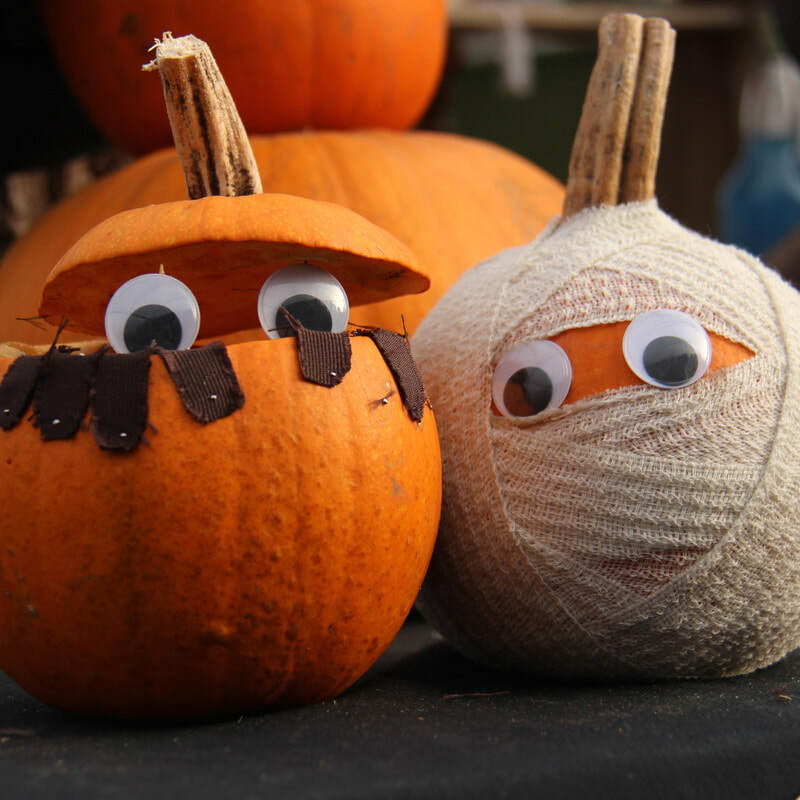 Carving starts on 13th Oct.
By coming this early in October there's a great selection of pumpkins to choose from but a risk they may not keep til Halloween. Unfortunately we cannot offer refunds. Please read our FAQs for more details. This year's pumpkin season will be fully running from the 13th October to 28th October 2018. However, the pumpkins are ready early this year and the patch is now open for picking (from 9:30am Saturday 6th Oct). Carving activities will start on 13th October - before then it's picking only. We're open every day from 9.30am - 5.30pm. Between 15-19th October we'll open late til 6pm for after school picking - this will be a good week to come, before the very busy half-term week. For more tips on the best dates/times to come please read our blog. A range of seasonal hot & cold food and drink, including hog roast and chocolate apples and selection of pumpkin-themed merchandise. The Farm Shop, Cafe and outdoor picnic & play area are open as usual. 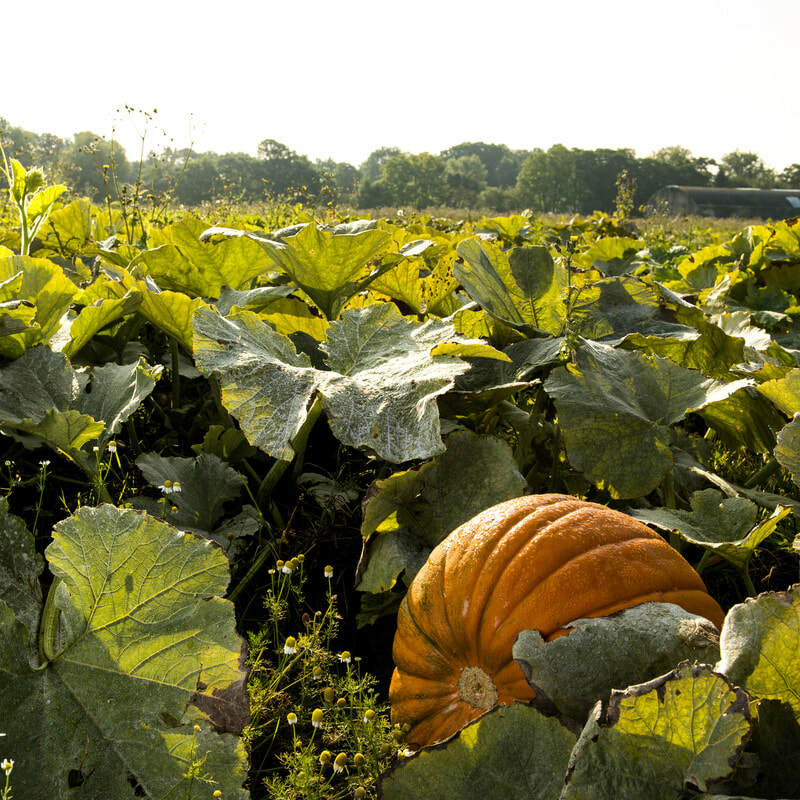 If you have any questions about our pumpkin season, please visit our Pumpkin FAQ page. * Groups of 15+ people should ring to discuss. ** We work hard to ensure the pumpkin patches are open for the duration of the season. However, due to factors outside our control (e.g. weather) we advise you check this page again before setting off. During the season we'll update this page every day with the latest information.